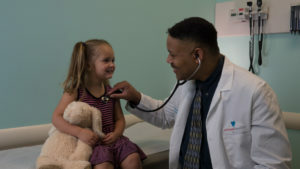 Pediatrician and Chief Medical Officer. Applications must be received on or before June 1, 2019. The application and accompanying instructions can be found on the Request Support page of the FBJSL website www.fbjsl.org/request-support . All applications must be submitted via e-mail to brccom@fbjsl.com. FBJSL is an organization of women committed to promoting volunteerism, to developing the potential of women and to improving the Fort Bend County community through the effective action and leadership of trained volunteers. Their purpose is exclusively educational and charitable as well as providing an atmosphere of friendliness, goodwill and camaraderie for all members. To learn more about FBJSL, please visit www.fbjsl.org.